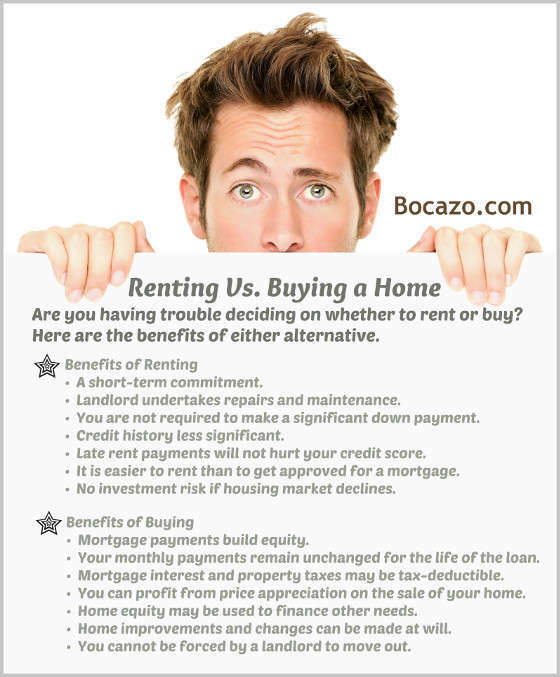 Infographic to help you decide on which is better: buying or renting a home. Are you having trouble deciding on whether to rent or buy? Here are the benefits of either alternative. •	Landlord undertakes repairs and maintenance. •	You are not required to make a significant down payment. •	Credit history less significant. •	Late rent payments will not hurt your credit score. •	It is easier to rent than to get approved for a mortgage. •	No investment risk if housing market declines. 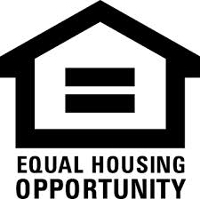 •	Mortgage payments build equity. •	Your monthly payments remain unchanged for the life of the loan. •	Mortgage interest and property taxes may be tax-deductible. 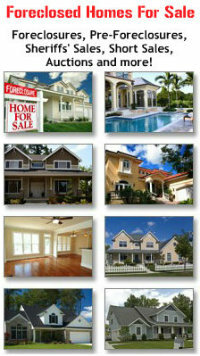 •	You can profit from price appreciation on the sale of your home. •	Home equity may be used to finance other needs. •	Home improvements and changes can be made at will. •	You cannot be forced by a landlord to move out.